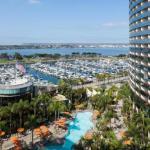 2019 The American Orthopaedic Association (AOA) Annual leadership Meeting is organized by The American Orthopaedic Association (AOA) and will be held from Jun 25 - 29, 2019 at Marriott Marquis San Diego Marina, San Diego, California, United States of America. The American Academy of Orthopaedic Surgeons designates this live activity for a maximum of 16.25 AMA PRA Category 1 Credits™. Physicians should claim only the credit commensurate with the extent of their participation in the activity. AOA Annual Leadership Meeting educational activities include eight symposia, one roundtable, and two Department Leadership Forums. Credit is calculated on an hour-for-hour basis, with a 90-minute symposium equaling 1.5 CME credits and each Department Leadership Forum equaling 1.5 CME credits. 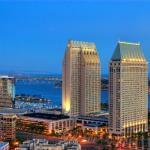 The 2019 AOA Annual Leadership Meetings will be the AOA's 132nd annual meeting. • C. McCollister Evarts Resident Leadership Forum will be held from Jun 25 - 26, 2019. • Emerging Leaders Forum will be held from Jun 25 - 26, 2019. • Own the Bone Fragility Fracture Symposium will be held on Jun 28, 2019. Attendees of the 2019 Annual Leadership Meeting of The American Orthopaedic Association will discuss and debate, formally and informally, controversies in orthopaedic practice, science, ethics, education, economics, and social issues. Physicians will also advance their knowledge of orthopaedic surgery and science and learn new practices that can be implemented to improve patient care.